Depending on exposure, sculptures placed outside will need to be re-coated in lacquer after some time to maintain their high-quality finish. 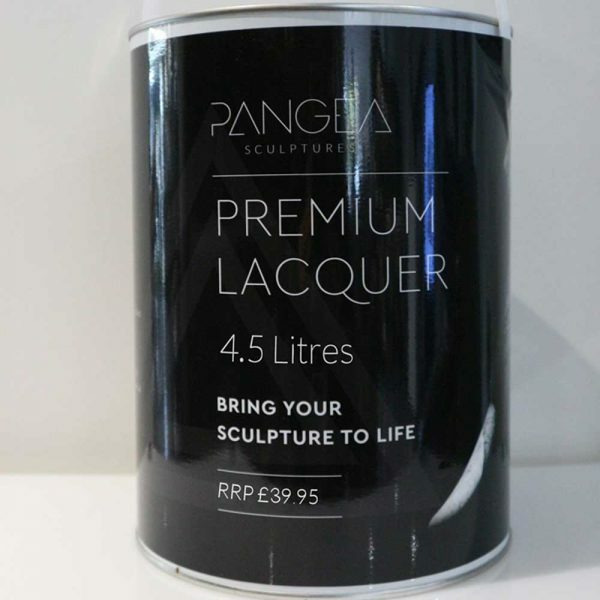 We recommend using our specialist lacquer that has been developed exclusively for Pangea Sculptures. Lacquer is available in tins ranging from 250ml to 4.5 litre. Please bear in mind that sculptures will require 3 coats to achieve optimum quality and protection when choosing which sized tin to purchase. Be the first to review “Lacquer 4.5 litre” Click here to cancel reply.